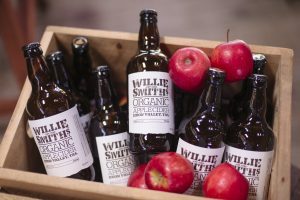 Willie Smiths Organic Apple Cider - Australia's first organic Cidery from the Huon Valley, where William Smith first planted his orchard in 1888. 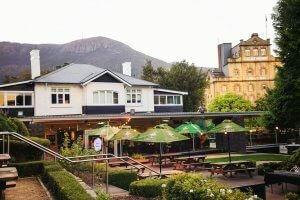 Tasmania is known as the Apple Isle for its verdant valleys, rolling hills and orchards. And you can easily pick your own fruit, as the Huon River Valley is less than an hour's drive south of Hobart. Here, you can marvel at one of the richest apple growing regions on planet earth while picking and sampling a wide variety of fruit yourself. And it's not just apples. The lush hills of the Huon River Valley also produces pears and berries which can be used for creating tantalizing cider drinks. Image thanks to Tourism Tasmania & Nick Osborne. The Roaring Forties, the churning weather system that drives the Southern Hemisphere, brings Tasmania the cleanest air on earth as well as abundant rains. This infuses rich soil with nutrients that make for the cleanest, crispest, most delicious apple anywhere. But apples are only a part of the cider equation. Tasmania's isolation in the teeth of the Roaring Forties brings the world's cleanest water to the Apple Isle. It pours onto the high alpine plateaus then purifies itself through rocky highlands before rushing down to the verdant valleys below. This water makes a huge difference in the flavour of the ciders produced in Tasmania. It makes for a clean, crisp taste that simply can't be duplicated. There are two main cider regions in Tasmania, with the Huon Valley being chief among them. And getting to this pristine region of the state is "easy as". Just drive 30 minutes south of Hobart to pass behind the Wellington Range and the valley will present herself. The highway will then meet up with the Huon River in the town of Huonville. That's when you know you've made it. 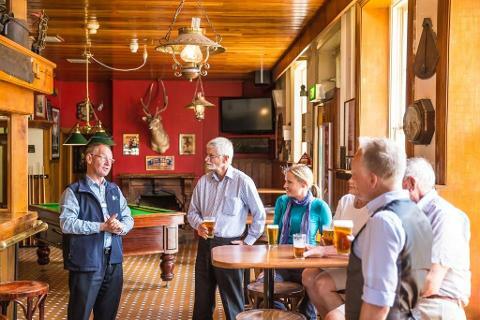 Image thanks to Tourism Tasmania & Jonathan Wherrett. 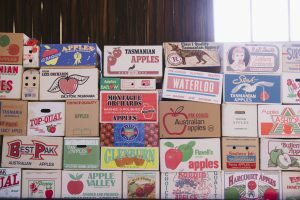 Right before entering Huonville, look out for the Apple Shed Museum where you can tour the history of this luscious valley. Or continue on down to the historic town of Geeveston where the Huon River widens to meet the ocean. All along, you'll find orchard after orchard producing some of the world's sweetest fruits. Breathe in the air and feel the soil underfoot as it all goes into your cider. Just to the north of the city of Launceston, you'll find Tasmania's other main apple growing region in the Tamar River Valley. The Tamar River is actually a tidal estuary that rises and falls with the ocean's tides. It runs 64 kilometres north from Launceston to the Bass Strait and it's wide enough to accept freight ships bringing goods to Tasmania's inland city. The freight ships dock on the eastern banks of the river where you'll find industrial ports. Stick to the western side of the river where you'll find a cider trail amongst emerald hills covered in apple trees and vineyards. The apples here are so well hydrated that apple juice pressers need not add water. The Tamar Valley not only produces outstanding apples, it also makes the world's best cold climate wines. Be sure to sample a few wines on your cider tour of the Tamar Valley. 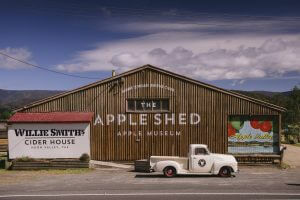 Willie Smith dates back to 1884 when the patriarch of the family planted the first apple tree down in the Huon Valley. Four generations later and Willy Smith is still producing cider the old-fashioned way. This organic cider maker features an apple shed, museum, massive farm and distillery. There's also a beloved annual Mid-Winter festival where apple growers light torches to shout out the cold. This beautiful farm is sure worth a visit. Image thanksto Tourism Tasmania & Jonathan Wherrett. You'll find Frank's Cider right on the Huon River in Franklin. The farm was established back in 1836 by John Clark, the area's first European settler, and the family still harvests fruit from the trees he planted. These old trees ripen later in the season giving the fruit more time to develop flavour. 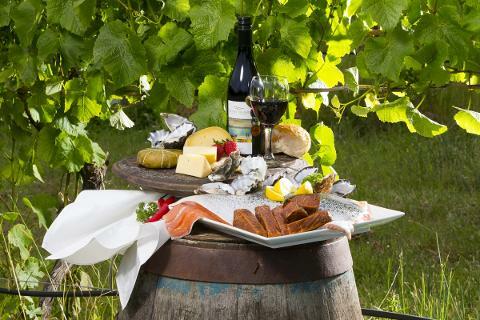 Frank's offers up a Cellar Door where you can enjoy seasonal foods cultivated from the valley as well as fine coffees and free cider tastings. Brady's Lookout Cider is up in the Tamar Valley on a former pear and walnut orchard. This small cider mill operation is committed to making a unique libation - a sparkling Tamar wine but using crisp apples instead of grapes. Check their website before visiting as the cellar door hours tend to change for this boutique operation. Pagan Cider celebrates the quasi-pagan traditions of the Huon Valley. Pagan blends the old with the new as they use 4th generation farmers to cultivate the fruit while utilizing new technologies and techniques to make the final product. They feature an intimate little tasting room in a cherry orchard on the banks of the Huon River. 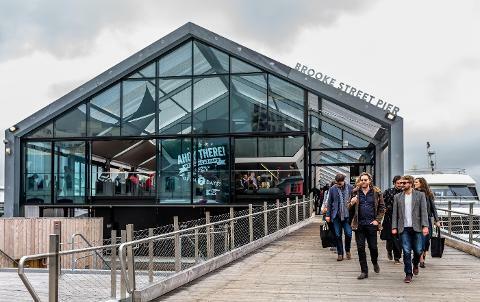 Winter Brook is another boutique maker on the western banks of the Tamar River. This maker is committed to limited intervention. You won't find any additives to the cider and the liquid goes unfiltered. The result is a dry, apply, sparkling cider that's perfect for a barbeque. Winter Brook has a cute little tasting room in the town of Loira. Bonamys ciders were initially made by a French winemaker over 100 years ago. His founding expertise won him many awards in the early 20th century and now his cider has been recreated by The Tasmanian Cider Company. This whole fruit cider is less sweet, very light and a bit dry. There is no tasting room for Bonamys. Hansen's Cider is a bit different than the others. Like most Tasmanian ciders, the whole fruit cider tends to be less sweet and dry on the palate to deliver ripe apple flavours. But Hansen's finishes with a bit of Jersey Caramel to give it a slight caramel apple flavour. The Hansen family has been making cider for 4 generations in the Huon Valley but you'll have to buy a bottle at a shop as there is no tasting room. Captian Bligh planted the first apple trees on Bruny Island in the late 1700's for survival. As the 1800's came with a population boom, apple growers planted in the perfectly suited Huon Valley. But early apple growing was a necessity to ward off disease and hunger, so the making of luxurious cider had to wait. It soon became apparent that the Huon and Tamar Valleys were perfectly suited for apple growing and it became an industry in the late 1800's. 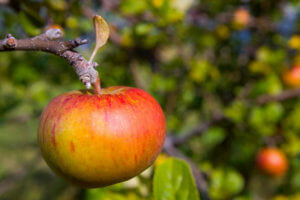 Tasmania was producing more apples than the island could consume and this gave rise to preserving the apples in cider. That caught the attention of Cascade. Already world famous for its beer, Cascade began making cider with Tasmanian apples in 1912. 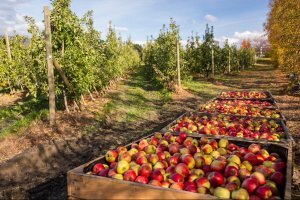 The apple and cider industry continued to grow until a peak of 8.9 million boxes of exported apples in 1964. But soon after, tariffs and a downturn in the economy nearly wiped out the apple industry. But cider has come roaring back. Cider has become so popular that it has revitalized the apple growing industry in Tasmania. Now new makers are popping up alongside 4th generation growers to bring you the best cider in the world. Captian Bligh planted the first apple trees on Bruny Island in the late 1700’s for survival.